One of the top questions that we get asked is ‘how much time does it actually take to run a membership site?’. Like many things to do with membership sites, there isn’t a ‘one size fits all’ answer to this. Some membership sites can quietly tick away in the background without really needing much attention, whilst for others you’re going to be working on it, to some extent, every day. In general though, membership sites – successful ones at any rate – aren’t really the holy grail of passive income that they are sometimes portrayed to be. Your membership should be an ongoing value exchange, either through content or community. So a good membership site is always going to need at least some ongoing time involvement. How much time that is though can be entirely up to you. It could be half an hour a day, it could be 5 hours a day. In order to help you decide how much time you can, and want to, put into your membership site, lets take a look at the more time consuming tasks your site might involve, as well as some ways that you can help to minimise the time input needed directly from you. Where will your time be spent? 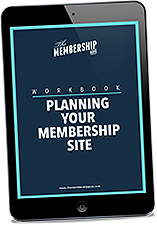 Whilst every membership site varies, there are several areas where the bulk of your time will generally be spent. It probably goes without saying that if you’re running any kind of live component to your membership site, like live training or live Q&A sessions, then that’s going to be time consuming. If it’s a live question and answer session then it may just be the time taken to run the session itself, but for live training you would also need to factor in the actual time spent creating the training too. The good thing with live sessions is that there will typically be a consistency to them – you know you’ll be running two a month for example, and that each of those sessions maybe needs 2 hours. So you can plan accordingly and have that time permanently blocked out of your diary. One of the most time consuming elements of a membership site can be creating your actual membership content, particularly if you’re providing new content every month. How long this content creation process actually takes you will depend entirely on the type of content that you’re creating though – a 10 module video course will take much longer to create than a downloadable PDF. We typically recommend that you have some kind of community alongside your membership site in order to improve retention. Building a community takes time however, especially in the early days of your site where more effort may be needed to get members interacting with each other. On an ongoing basis it may be that your community ticks along nicely and you just check in there briefly every day. But the amount of time involvement a community will need is one of the hardest things to predict. Even with the best of membership sites you are going to have customer support issues coming up. Members emailing you about an issue with the site, queries about accounts, even pre-sales questions, can all end up taking a considerable amount of time, especially as your site grows. You need to be continually bringing new members into your membership site in order for it to continue to grow. In order to do that, you’re going to be spending some time marketing the site, whether that’s through blog posts, a podcast, Facebook ads or something else. Whilst you might think that a way around this is to only open your membership site at certain times of the year, bear in mind that whilst that may reduce your ongoing marketing needs, you will still need to be doing some brand awareness on an ongoing basis, and your launch periods themselves may require a great deal of time and effort to run successfully. So it’s not necessarily the time saving option it may initially appear. The good news is that you get to decide where you want your time to be spent in your membership site, as well as how much time you want to spend. Know you can only commit an hour a day? 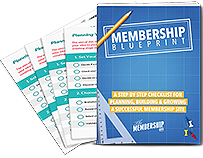 You can build your membership in such a way that that hour is all you need, without it being detrimental to your members. Or to you, for that matter – burning yourself out is only going to be a bad thing for your membership in the long run. There are plenty of tasks that you can outsource in order to reduce demands on your own time. You could hire a community manager, a marketing specialist or a virtual assistant to help you edit your content for example. Not every task for your membership site needs to be done by you and hiring other people can allow you to focus your time and energy on the areas where your input is most important, like community engagement or content creation. While we’re big fans of having a community for your membership site, if you know that you don’t have the time to commit to engaging with and growing that community, then it may be better for you to forego it – having no community is better than having one that’s as dead as a dodo. However it doesn’t need to be all or nothing. It may be that you can utilise comments on your content to foster a sense of community and engagement amongst your members, without the pressure of a full blown forum. Similarly it may be that you simply want a Facebook Group to act as a community hangout area where your input is less expected. A forum will generally be the most time consuming community you can have, so consider the alternatives that you could use which would better fit with the time you have available. 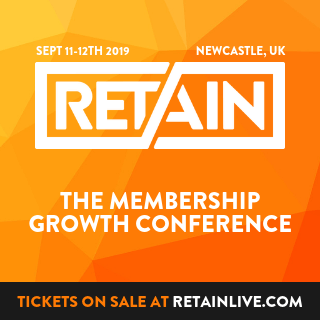 Could you find a way to create several months worth of content in a short space of time and then drip it out to your members, rather than being in constant content creation mode? Many well known entrepreneurs swear by the content batching approach, setting up their camera and creating months worth of video content in just a week. If you the outsource the actual editing of your content, or the uploading of the content to your membership too, then content creation can become a much more streamlined and far less time consuming process. You’re totally in control of the features that your membership site offers and as such can pick the most suitable membership structure for your needs. Don’t have the time to create new courses every month? Why not offer a couple of live sessions a month instead – you’re still giving valuable content but the time needed for creation is much shorter. Some membership sites are built entirely on one or two live trainings a month and a library of the recordings. Decide what you have the time to provide each month and as long as this still provides good value for your members, go for it. In the Member Site Academy we’re very accessible to our members – they can ask us questions in the forum, via a support form, via Intercom or even on our monthly mastermind calls. We knew when we set up the Academy that due to the nature of the topic we wanted to be as available as possible to members. But if you’re short on time one of the main things you can do to reduce the ‘burden’ of your membership site is to reduce your accessibility to your members. Instead of being available daily, you could have a monthly office hours call, or you could only answer emails within set times. You don’t have to be totally accessible to your members, and there are benefits to actually taking a step back, so think about the level of personal interaction and engagement you want and can manage. So, do you have the time needed? As we’ve already mentioned, it’s entirely up to you to decide how much time you want to put into your membership site. Nobody else can decide that for you. But hopefully you’re now better equipped to determine if you do have the time to run your own membership site, or if you may need to adapt some of your plans to work with the time that you have available. One last thing to consider when determining the time involvement in your site is your actual goal for the site. If this is a ‘side hustle’ that you just want to bring in a bit of extra cash each month, then you’re going to want to devote less time to it than if it’s a membership that you want to grow to replace your main/job income. You can certainly run your membership in just an hour a day with the right setup, but if you want to go “all-out” on your features, content and accessibility then it can easily turn into a full time job!